A former minister of communications, Adebayo Shittu has addressed former president, Olusegun Obasonjo as an enemy to the present Muhammadu Buhari APC government. Shittu rose in defence of Buhari after several calls from different sources advising President Muhammadu Buhari not to seek re-election in 2019 and especially the direct one from former President Olusegun Obasanjo. In Abuja, Shittu maintained that Obasanjo lacked the moral right to advise President Muhammadu Buhari not to seek re-election in 2019. The Minister who briefed State House correspondents at the Council Chamber of Presidential Villa, Abuja, said nobody has the right to advice the President not to seek re-election. In his words: “I am talking here not as the spokes person of the government but as an individual, a leader of APC from Oyo State who also is a member of this government haven been minister of communications. I believe as an active participant in political and governmental affairs, I have a duty to the government and to myself and I believe to all Nigerians that we have to correct a lot of misinformation and blackmail that is out there by people who ordinarily deserve respect but who for reason of clannishness, for reason of tribalism, for reasons of religious bigotry and intolerance have decided to see and not to ask questions about what is going on in the country. 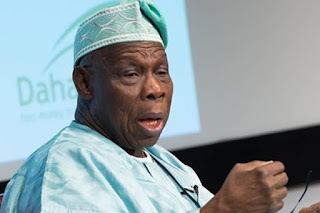 Reacting specifically on President Obasanjo’s statement that President Buhari should retire after the four year tenure over alleged abysmal performance, he said Obasanjo, has no right to short change Nigerians by asking President Buhari, to forget seeking re-election in 2019. He said Obasanjo lacked the power to decide for the generality of Nigerians who they should vote for. Shittu said, “Obasanjo as a patriotic Nigerian has the right to hold opinions. If Obasanjo holds an opinion that Mr. President has performed less than what it should be, those of us who are in the position to know better have a right to also state the other side which perhaps Obasanjo is ignorant of. “You see, there are some people who enjoy engaging in sensationalism. With due respect to General Obasanjo, if you take his history over the last 30 years, there is hardly any regime other than his own that he did not criticize except Sani Abacha, who didn’t wait for Obasanjo to criticize him before he was sent to the gulag.